With one simple plug-and-play FireWire connection, the V4HD turns your Mac or PC desktop or laptop computer into a powerful HD/SD video production workstation equipped with all the video and audio I/O you need. Connect all your gear, from SD camcorders and monitors to today's latest professional HD cameras, video decks, LCD reference monitors and plasmas – all at the same time, with no cable swapping. Choose your input source, then log and capture HD or SD clips directly into Final Cut Pro or Premiere Pro. In Final Cut Pro, the V4HD supports full-raster 1920x1080 HD capture and playback using Apple's ProRes 422 codec in both standard and HQ modes. 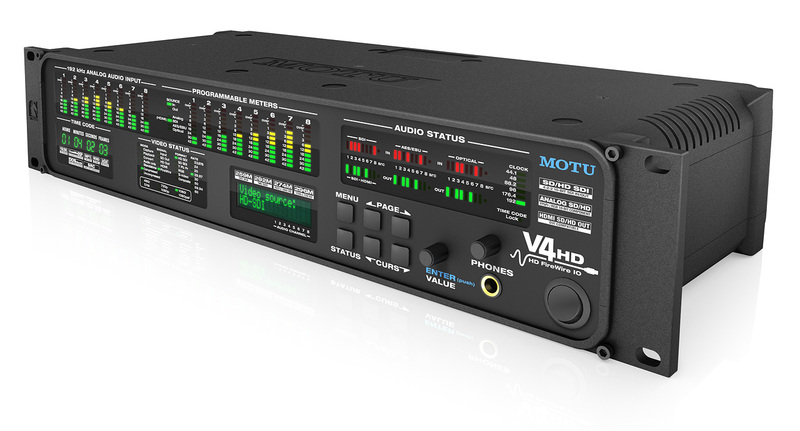 The V4HD is the ideal all-in-one video capture solution for any ProRes workflow. In both Final Cut Pro and Premiere Pro, the V4HD provides hardware-accelerated capture and playback of DVCProHD, DVCPro50 and DVCPro25 video streams, plus 8- and 10-bit uncompressed SD — all with convenient plug-and-play FireWire connectivity and CPU-efficient intra-frame editing. The V4HD is ideal for a DVCProHD/P2 workflow because you can immediately play back P2 clips (either imported or ingested) with no transcoding necessary. Conversely, you can connect any SD or HD video source such as an HDV camera, legacy video deck or DVD player and then capture it directly as a DVCProHD clip in Final Cut or Premiere. Many cameras now feed their uncompressed SDI or component output directly from the camera's optics and imager, before compression, for the best-possible picture quality during capture with the V4HD. Need to bring SD material into your HD project? The V4HD even provides hardware-accelerated SD-to-HD up conversion for capturing SD sources in DVCProHD format. As you edit, monitor your timeline on multiple HD and SD displays simultaneously with the V4HD's hardware-accelerated up-conversion, down-conversion and pull-down insertion or removal. Watch a variety of display formats side by side, from the pixel-for-pixel accuracy of a large plasma screen, to the color-corrected balance of an LCD reference monitor, to the real-world look of a consumer display. 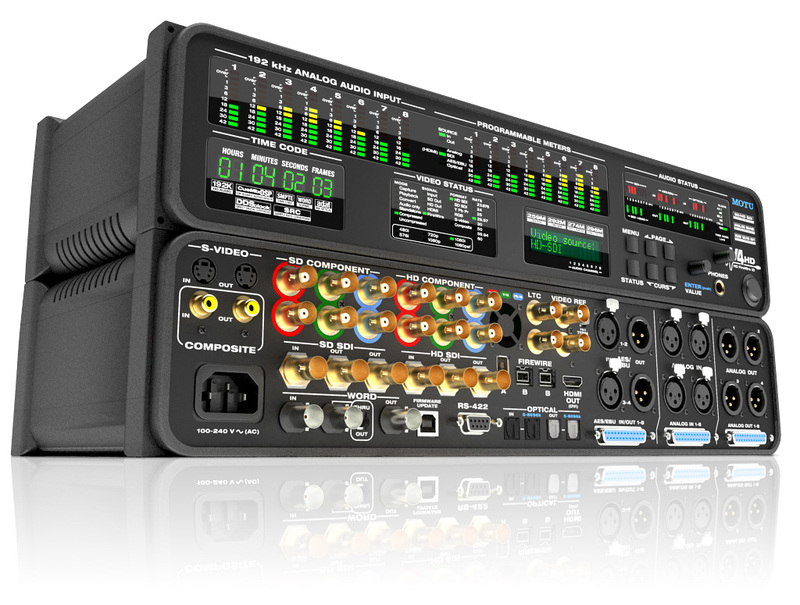 Use 32 channels of audio I/O to capture, monitor, mix and master multichannel surround sound for your productions at sample rates up to 192 kHz. Employ Sony 9-pin machine control for advanced Batch Capture and Edit to Tape operations. Keep everything frame-accurate using time code, video reference and audio word clock. The V4HD delivers all this with one simple FireWire 400 or 800 connection — even to a laptop computer. With the V4HD handling video I/O via FireWire, your laptop's expansion slot can be used for high-performance video storage solutions. From start to finish, the V4HD streamlines your video production workflow, with unified control over all your video gear from your computer desktop.